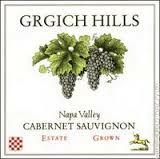 Grgich Hills believes in minimal intervention, fermenting the grapes with indigenous yeast at moderate temperatures that allows the wine to gain flavors and color from extended skin contact. Each lot is aged separately for several months, and then blended to create a wine that is more complex than the individual parts. After blending, the wine spent another year and half in barrel to completely harmonize before bottling.